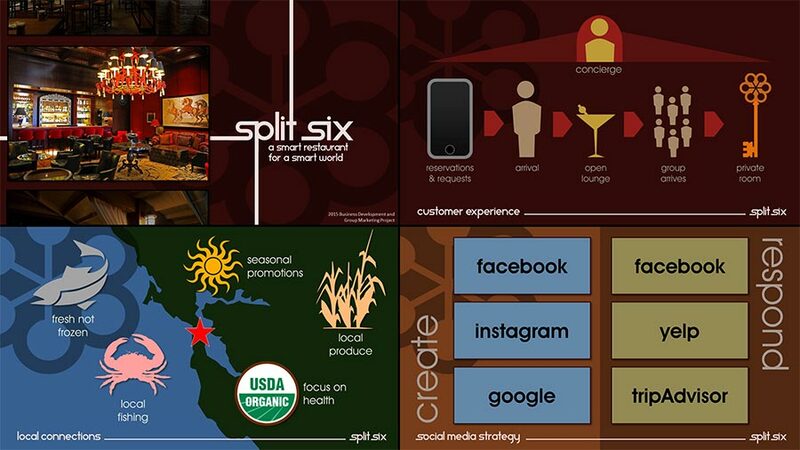 Initial image board of the “Spit Six” restaurant concept created for team members. The MBA group project proposed an upscale restaurant in a corporate urban area. 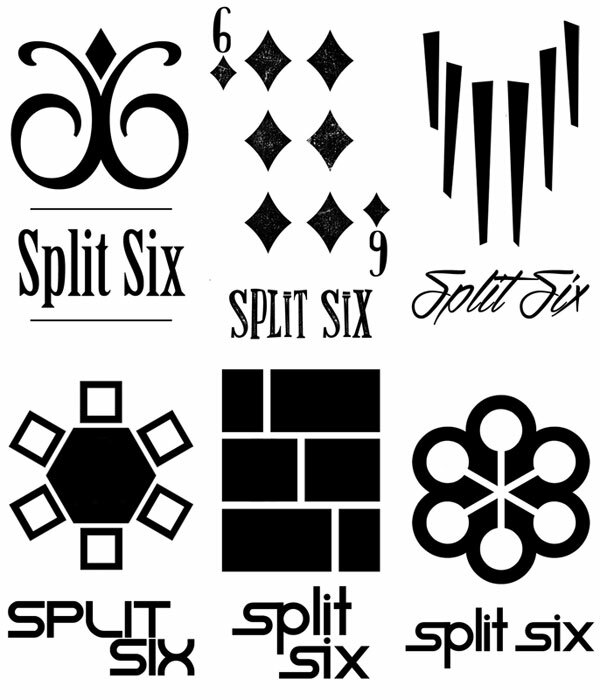 Visual Development of the “Split Six” logo and font. 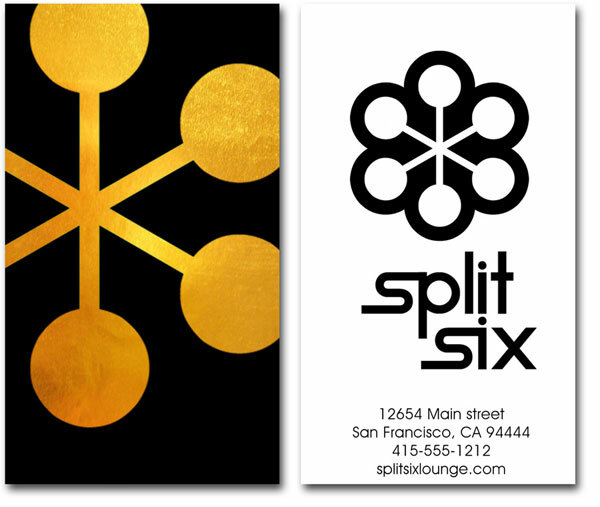 Front and back of business cards. Gold intended to be gold foil. Site homepage. 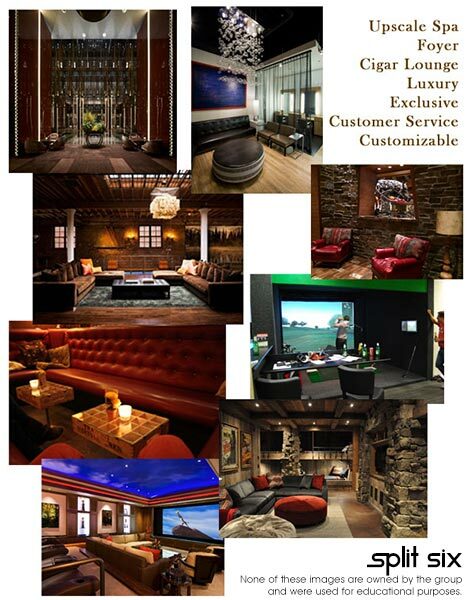 Functionality to include reservations and direct communication with the concierge. Mockup of full page print ad promoting the restaurants services. The longer text was used to explain the unique restaurant experience. Presentation describing the “Split Six” concept and its marketing plan. 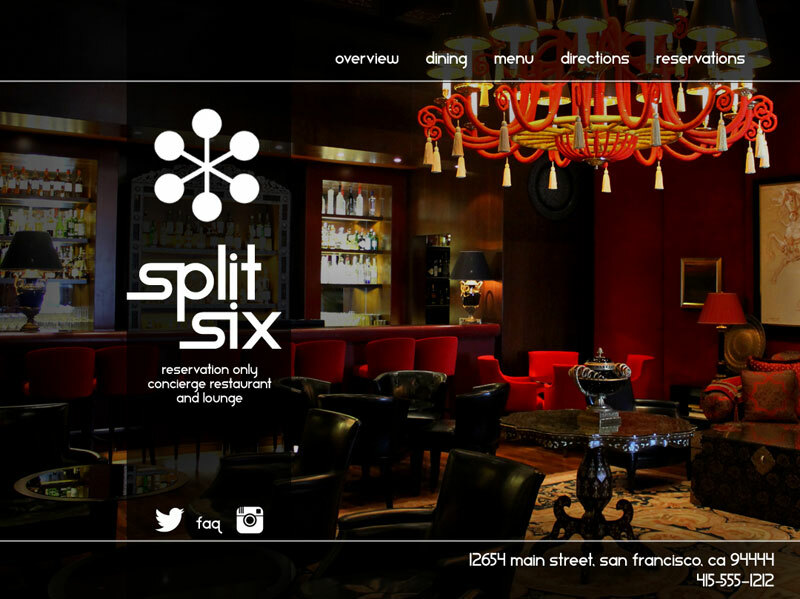 The Split Six business concept was developed for a group marketing project in my MBA program. I focused on the branding, implementation, and evaluation of the developed plan. 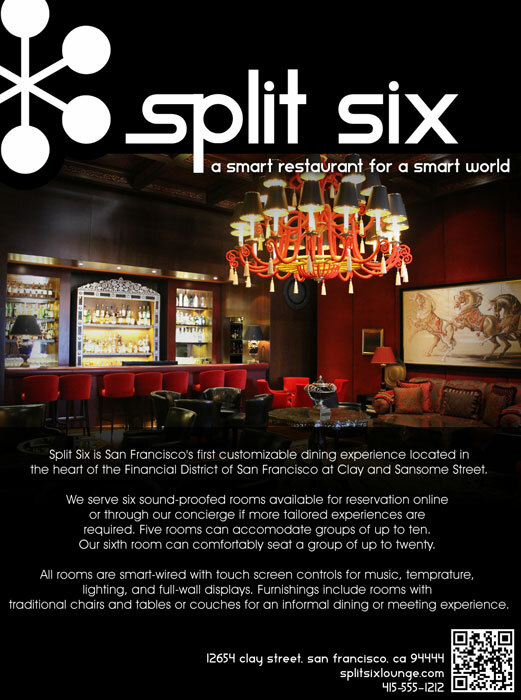 The restaurant concept detailed a smart and customizable dining experience in San Francisco. The business focused its marketing efforts on young professionals who worked near downtown and wanted an exclusive club/restaurant for lunches and after-work events. Our process went through several iterations of identity, developed logo, letterhead, website, and print materials for the presentation and plan. Additional social media and app integration were also included in the digital elements of the implementation plan. * Image has been changed to include a public domain image and is only used for educational purposes.